It was a happy day for my fur boys, Abe and Chico, when their Ultimate Dog Bundle arrived! We were asked to host a product review and giveaway for the Bramton Company, maker of Bags on Board, Vet’s Best, Simple Solution and the Out! brand. And, when the special delivery of dog goodies arrived, I was blown away. Seriously, over 16 items for my dogs sent in one great package. This busy momma’s job just got a whole lot easier! The good news is- I have the same fabulous items to give away to one lucky pet parent. 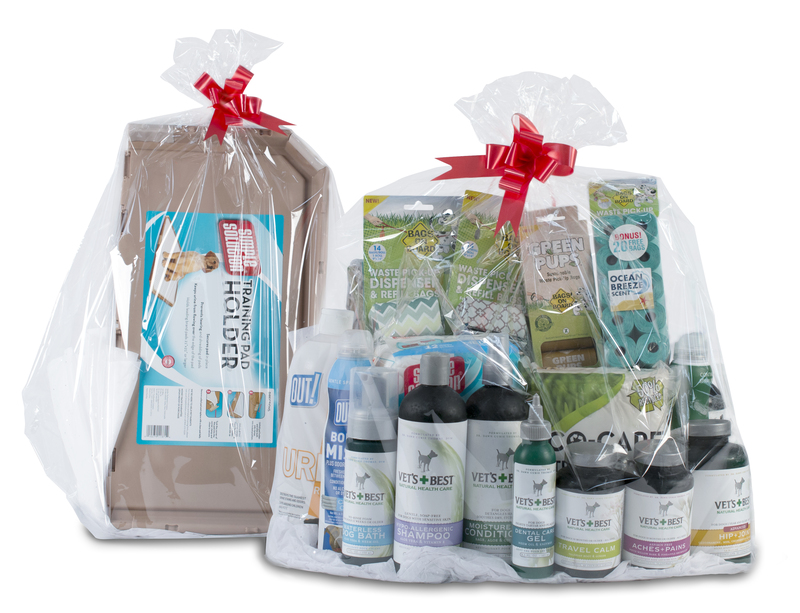 There are so many items in this Ultimate Dog Bundle (valued at $185) that you can choose to keep them for your pack or gift them this holiday season. I have had the opportunity to test a few of the products and my team has too. Item links are below so you can check out the details. 1. Vet’s Best Aches and Pains Supplement– love this for my two senior boys. White Willow, Pineapple and Bromelain make this product work to take achey joints away from active or senior dogs. 2. Vest Best Hip and Joint Supplement– I like that this product has 90 tablets in the bottle and Abe and Chico thought it was a delicious treat! 3. Vet’s Best Travel Calm– Plan to use this on our way to the vet in January. It contains Valerian Root and ginger- a good combo to calm nerves and to settle upset tummies. 4. Vet’s Best Flea & Tick Home and Go Spray– made with peppermint oil and clove extract- this product is safe for dogs and cats over 12 weeks of age. For use on pets, in the home and its sleek container is easy to take on the go. 5. Vet’s Best Hot Sot Shampoo– in my experience, shampoos with tea tree oil smell strong. Sometimes too strong. VB Hot Spot shampoo has tea tree oil, aloe vera and chamomile and the scent is lovely. My dogs’ allergy season begins in mid February and I hope that this shampoo will help ease their coat issues. 6. Vet’s Best Hypo-Allergenic Shampoo– aloe vera and vitamin e were combined to make this gentle soap free shampoo. 8. 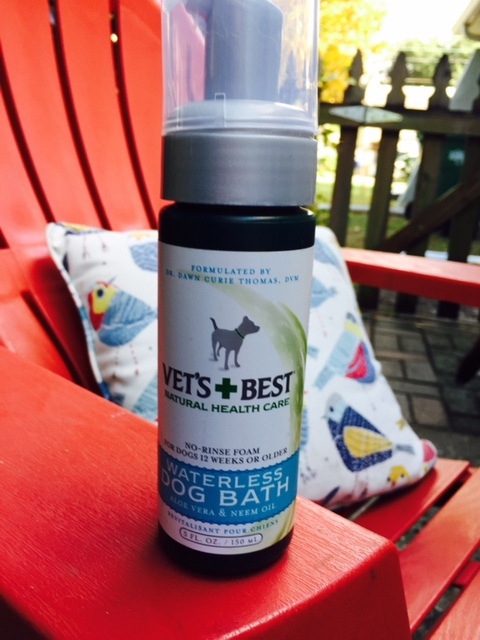 Vet’s Best Waterless Bath– I used this just before we left our boys with a pet sitter. They were super smelly and the waterless bath left them with a fresh scent. Added bonus- we felt less guilty. 9. Vet’s Best Dental Gel– easy to use either with a toothbrush or with your finger. The combination of neem oil and enzymes break down bacteria and freshen breath. 10. Bags on Board Waste Pick Up Dispenser and Refill Bags– super cute waste pickup bag holders- one in chevron and the other in a diamond pattern. Who says picking up poop can’t be done somewhat fashionably? 11. Bags on Board Green Pups Waste Pick Up Refill bags– 120 bags! And they are eco friendly. Win win! See my prior post on these here. 14. 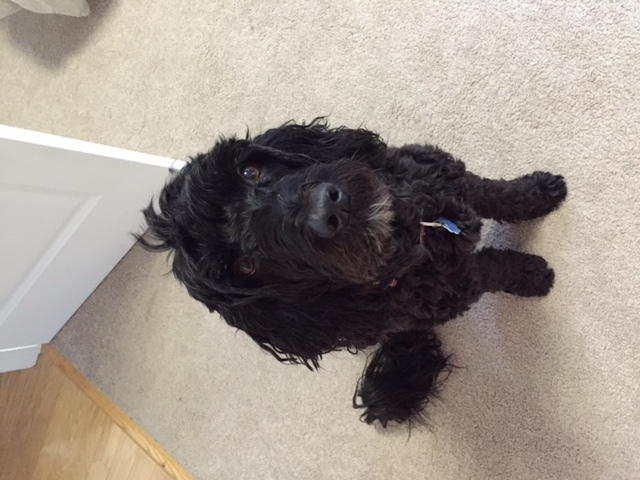 Simple Solution Diapers– my team member, Kenzie, is using this 12 pack for her senior dog who is having potty accidents at night. She says they are working fabulously. 15. OUT! 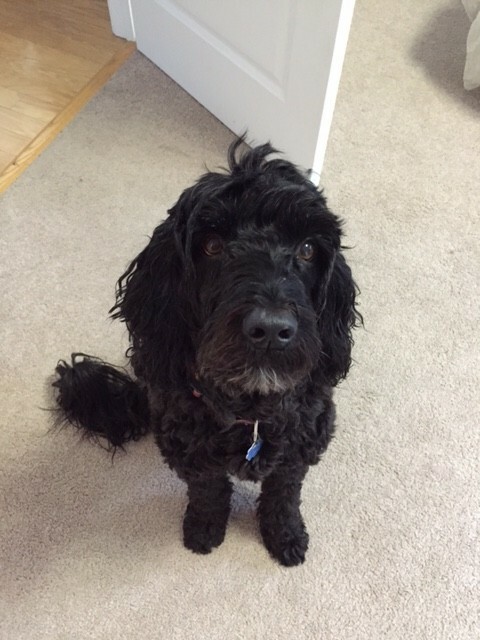 Urine Remover– my team member is also trying the urine remover to take out the staining and smells from her dog Abby’s accidents. The product is formulated to break down urine proteins. 16. OUT! Clean Cotton Body Mist– I really like this product. It has a 360 degree application which makes it easy to spray all over their furry bodies. Also, the scent is light and makes my boys smell great and feel soft between baths. Interested in buying products? 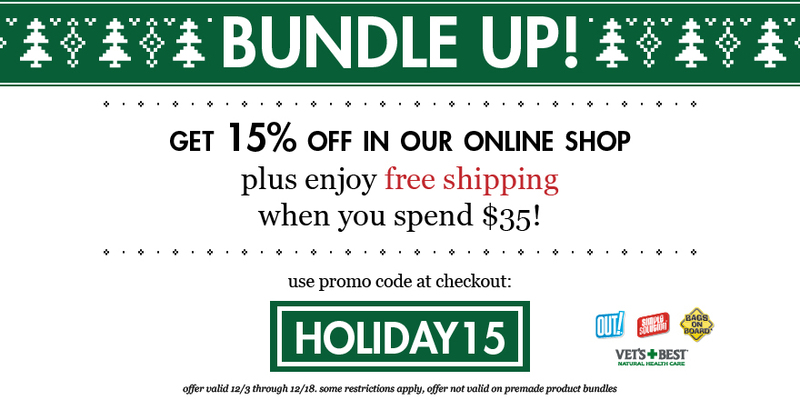 Here’s a coupon code to be used on all items that are not already bundled!